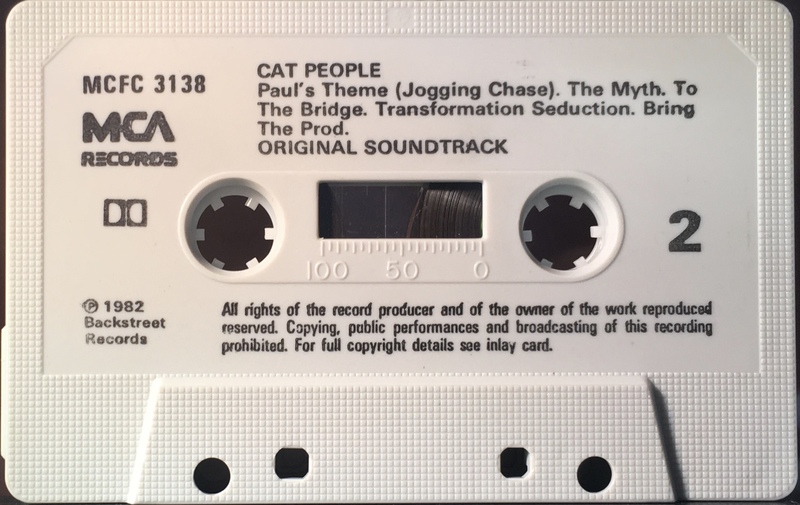 Cat People: UK; MCA, MCFC 3138; 1982. Cover photo bordered in black with black spine, inner and rear half-panel. Folded, treated, thick paper with track list on the rear and inside panels. ‘MCA’ and ‘Backstreet’ logos on top of cover. 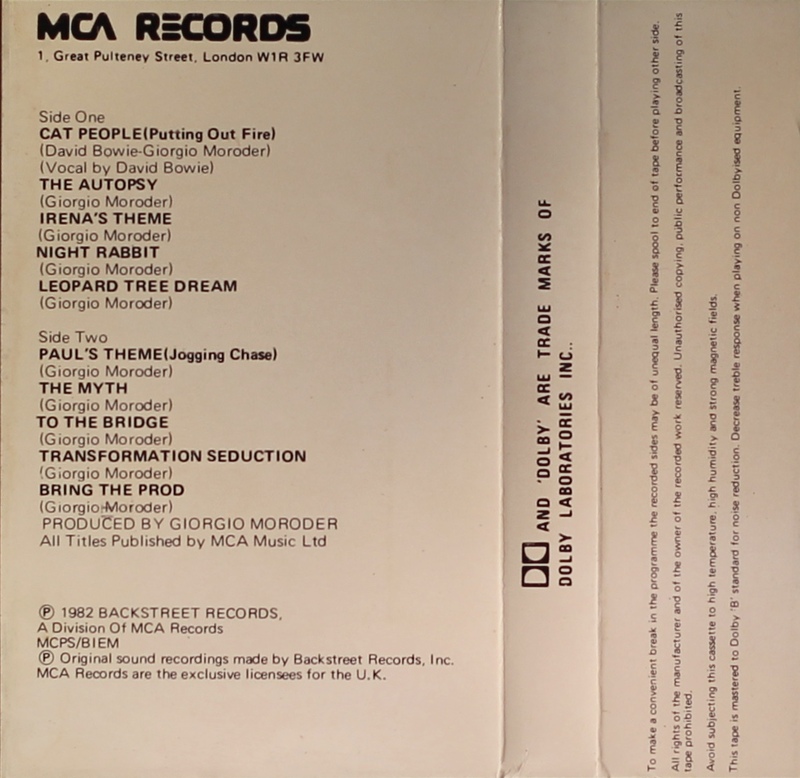 ‘℗ 1982 Backstreet Records a Division of MCA Records’ and ‘MCPS/ BIEM’ ‘MCA Records’ logo on the spine. Sticker on case. 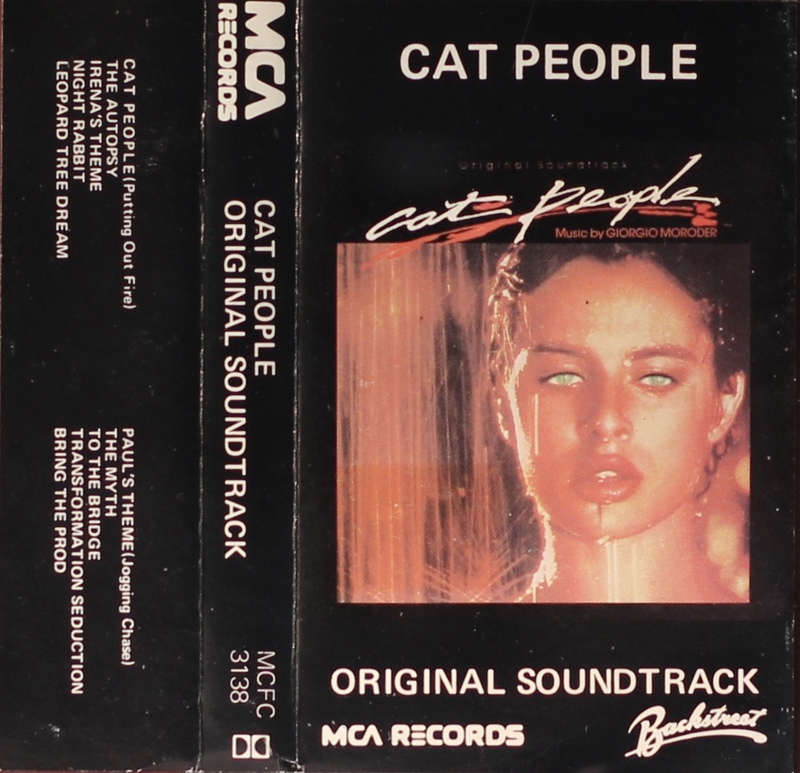 David Bowie performs on two tracks: ‘Cat People (Putting Out Fire)’ from Side 1 and ‘The Myth’ on Side 2. Black ink printed directly onto grey shell with ‘MCA Records’ logo. 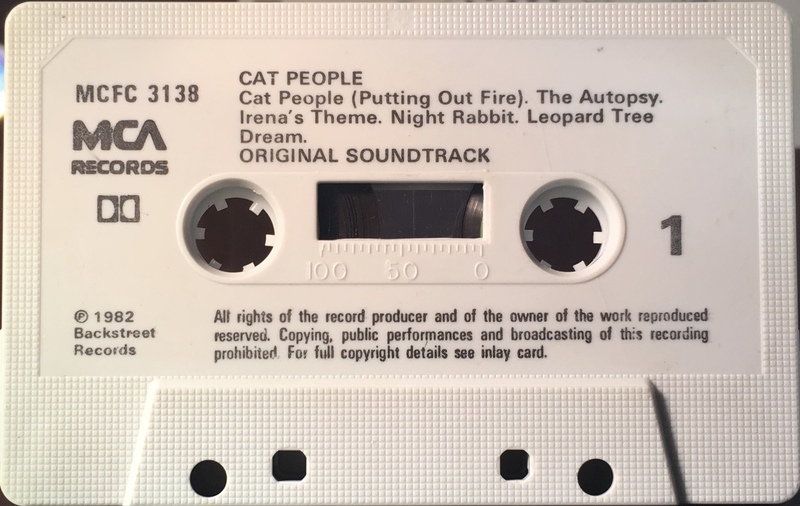 Detail showing sticker on case .